Pacifica Book Club: 'Kinder Than Solitude', December 1st at Florey's! 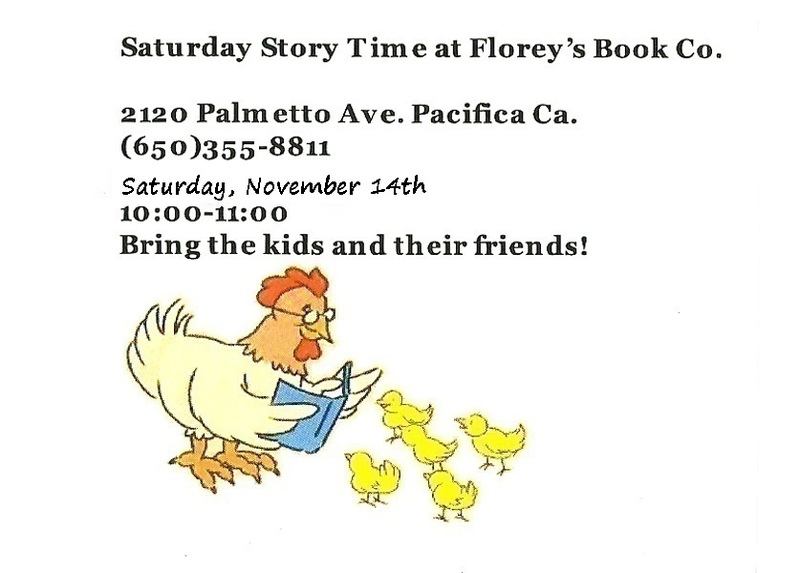 Join Pacifica's Book Club! 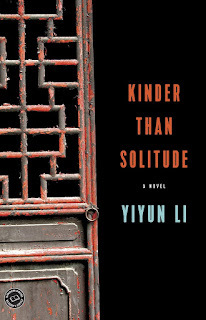 This month we'll be discussing 'Kinder Than Solitude' by Yiyun Li. 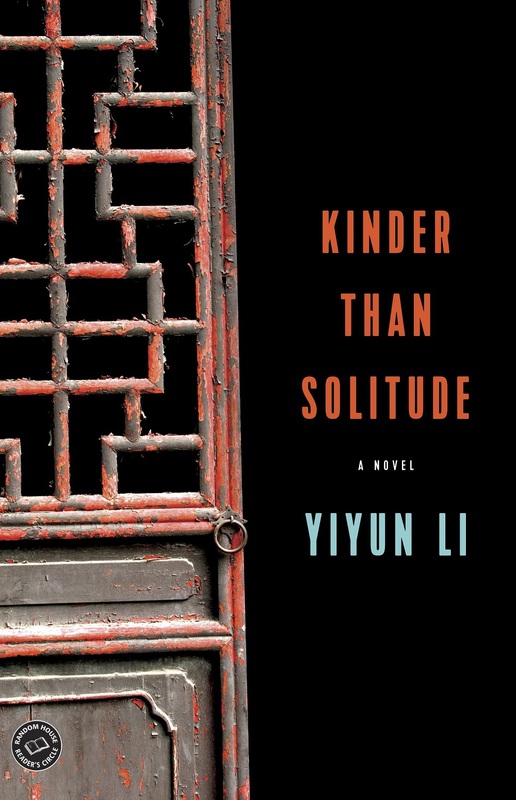 Moving back and forth in time, between America today and China in the 1990s, "Kinder Than Solitude" is the story of three people whose lives are changed by a murder one of them may have committed. When Moran, Ruyu, and Boyang were young, they were involved in a mysterious incident in which a friend of theirs was poisoned. Grown up, the three friends are separated by distance and personal estrangement. Moran and Ruyu live in the United States, Boyang in China; all three are haunted by what really happened in their youth, and by doubt about themselves. 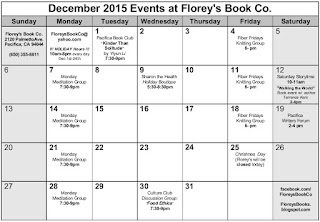 December 2015 Events at Florey's Book Co. !!! Extended Holiday hours !!! Open 10am to 8pm everyday, Dec. 1st-24th. Locally-produced gift items, live music, snacks, etc! Dec. 19th, 2-4pm. Come and share the joy of writing, reading, and poetry! 'Food Ethics' How do we feel about what we eat. 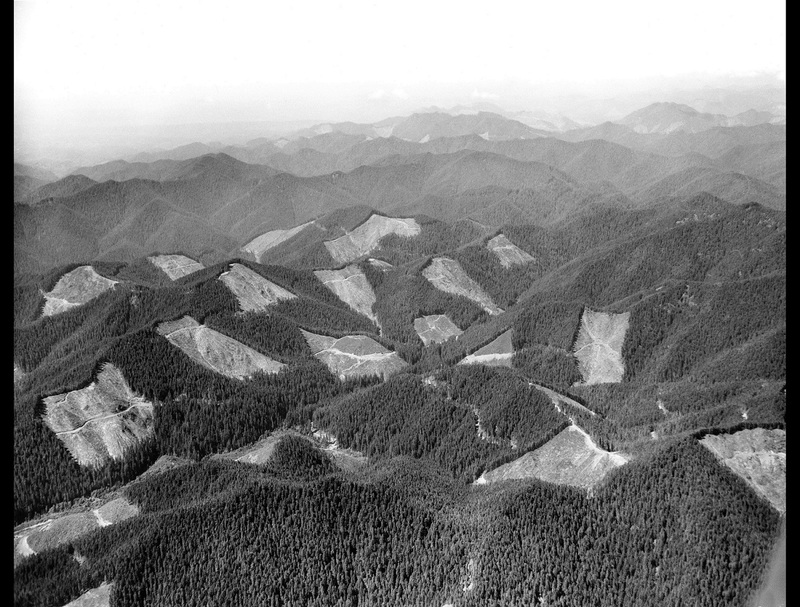 Pacifica Culture Club: 'Innovations in Conservation', November 18th at Florey's! 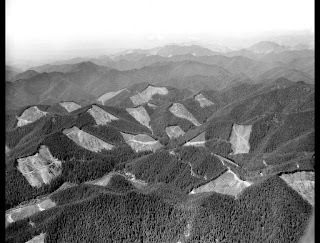 November's topic: Innovations in Conservation! Two cheers for a positive & fun topic! And please note it is ON THE THIRD WEDNESDAY, THE 18th, this month to avoid Thanksgiving eve. One main point we'd like to explore here is local conservation efforts in Pacifica, as well as finding those incredible stories and efforts of conservation around the world. From endangered animals, to dwindling forests, disappearing indigenous plants, shrinking glaciers, and valuable resources; there are people around the globe fighting to maintain biodiversity and we want to talk about them! 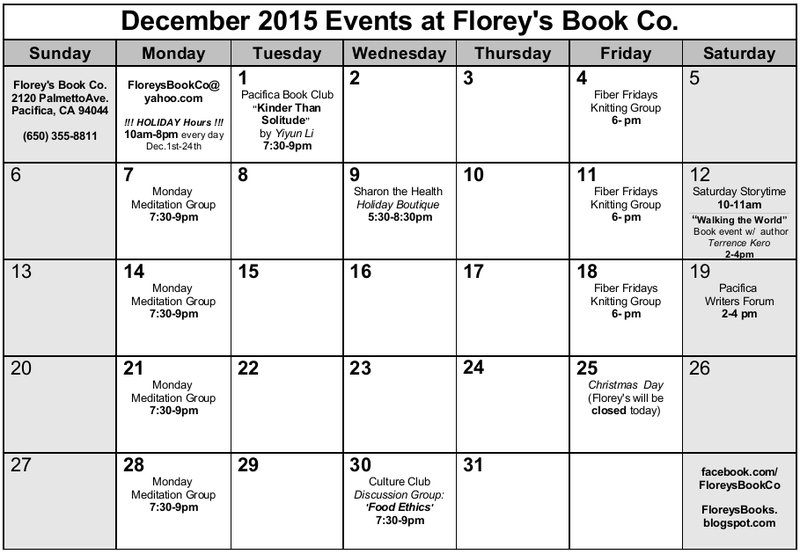 "Reverend Mom" Book Event with Author Michael Foley, November 12th at Florey's! 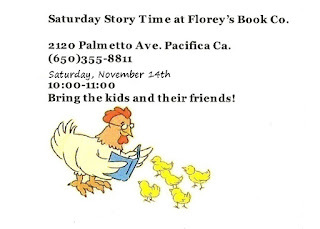 Florey's Books welcomes Pacifica author Michael Foley as he discusses his new book, "Reverend Mom: The Words and Wisdom of Reverend Audrey B. Foley". 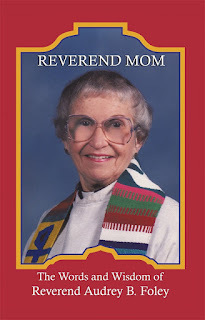 "Reverend Mom" is about my Mother, Reverend Audrey B. Foley, her sermons and the story of her path from growing up in New York through college in 1939, to the military in World War II, single parenthood and a twenty-eight year career in teaching that ultimately led to her being one of the first women to be ordained a Lutheran minister in America. In this book readers will discover the story of one woman's commitment to accept and address both the personal and cultural challenges of her times in order to make a difference in the quality of life around her. Foley pens the voice of his mother – heartfelt sermons – words and wisdom of Jesus Christ that she made real and meaningful in modern times. Throughout Reverend Audrey B. Foley's life, she overcame struggles and managed to teach herself, her sons, her students, and her congregation how to cross the bridge – between intellect and self- interest – to Christianity and the Bible. She empowers each person with critical thought and the faith to follow through with Christian actions. Her premise: In order to BE a Christian, you have to ACT like a Christian. "I hope readers will enjoy my mother's story and use the insight and strength of her sermons to bring themselves closer to God when they need it most," states the author. "That's what she does and that's what I'd like to help her continue to do. It's a true story that proves love begets love." Michael Foley is the son of "Reverend Mom." He can say, "I knew her when." He witnessed her remarkable transition from "Mom" to "Reverend". The letters in the book are communications between Foley and his Mom over decades – many of which are answers to specific questions. As a writer, Foley has been writing prose, poetry and songs since he began to write. The groundwork of his writing is the Bible combined with his mother's love and commitment to reading. His first published work was a song, recorded and released in 1966 with more on the way.